If you were not lucky enough to have attended the Hyde Park Picture House showing of JODOROWSKY'S DUNE in Leeds on September 26th, then you missed the chance to pick up a Limited Edition poster print by John J Pearson. Luckily enough it is still possible to bag one of these great posters, as copies are now available from his website. Each A2 print comes signed and numbered by the artist. It's a bold and fitting design featuring Salvador Dali, who was just one of the amazing talents cast by Jodorowsky for his never completed, but much lauded Dune. 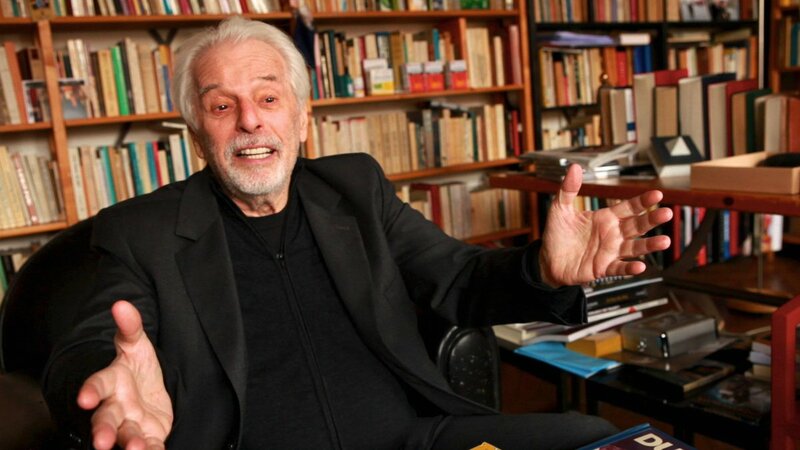 Frank Pavich's documentary gives us a spellbinding glimpse into the mind of Jodorowsky and shows the unwavering passion he retains for his aborted project. It explains how one visionary director's ideas have influenced just about every Sci-fi movie from the 70's until today. 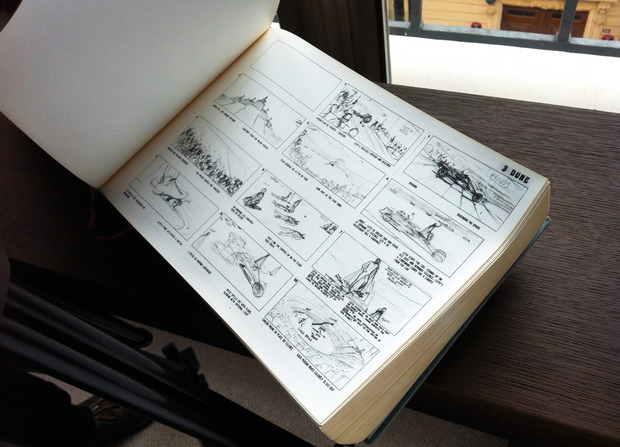 Jodorowsky spent months with Moebius working on storyboards and concepts. It would seem that every studio who recieved a copy of Jodorowsky's hard bound 'Dune Bible' and rejected it, has since rather blatantly borrowed from it! Certainly no fan of the Hollywood system, Jodorowsky is not bitter or angry about any of this. Thanks to duneinfo.com for the heads up! "Director Frank Pavich tackles one of cinema's most enthralling "what could have been" stories, weaving interviews with the charismatic Jodorowsky, his collaborators, and supporters (including DRIVE director Nicolas Winding Refn), together with animation to bring Moebius' storyboards to life. 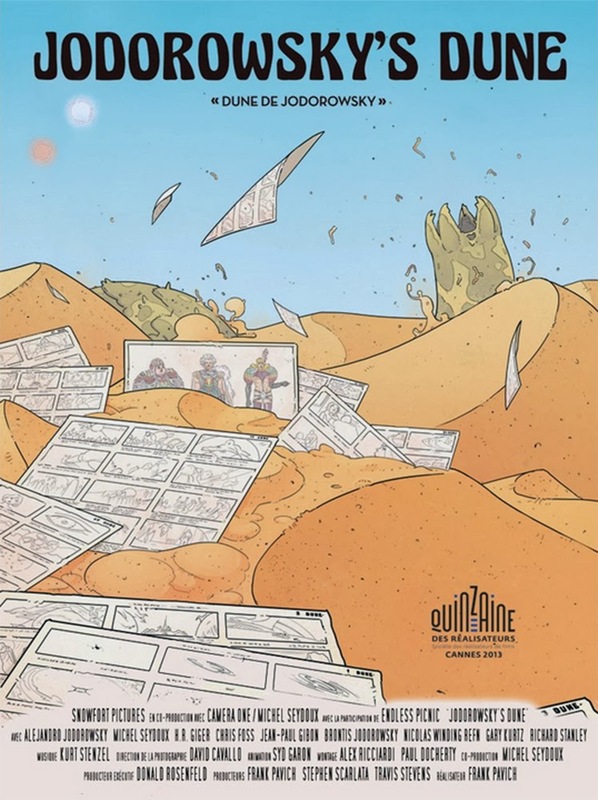 Even though the project exists only in the imaginations of its creators, and as the hundreds of illustrations they left behind, Pavich's documentary chooses not to dwell on failure, but rather celebrates the ways in which the creative dreams of Dune planted seeds for many other iconic films that came after it, from STAR WARS to ALIEN to countless more. This is an inspirational story about the power of the creative spirit, one that establishes Jodorowsky as a master of cinema and a true visionary of our time." 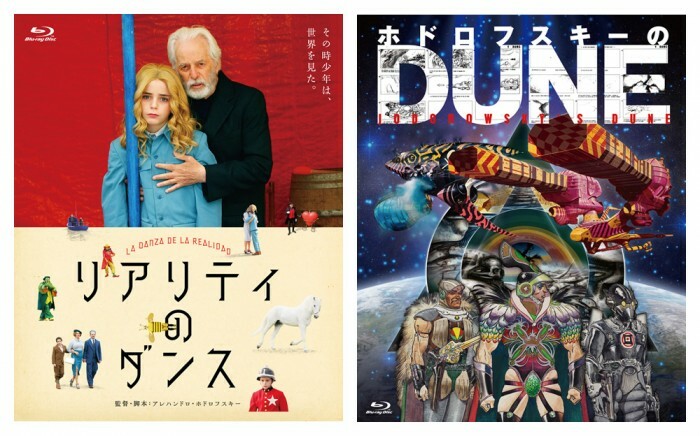 0 Fan responses to Limited Edition Jodorowsky's Dune Poster!